IO Earth is a groundbreaking British Symphonic Progressive band who pride themselves in their ability to seamlessly blend genres, creating their own signature sound. Whether the song you’re listening to is Hard Rock with Symphonic Strings, Ambient Trace with Horn solos or an emotive power ballad with Quartet breaks, you always know when you’re listening to IO Earth. IO Earth began life as a writing partnership between Dave Cureton and Adam Gough. Having first met in school at the age of 11, their writing and playing styles evolved together over the years, and this has resulted in a unique bond, where their ideas seem to materialize as one. This ability to work so easily together allows for an environment of nothing but creativity and imagination, and that really shines through their compositions. Often compared to movie scores in it’s ability to evoke emotion, the IO Earth sound holds something for everyone. It seems impossible to list all of the genres on which they have touched in their ten year history, over 4 studio albums … but they include Rock, Jazz, Opera, Electronic, Symphonic, Trance, Dance, Metal, Nu-Metal, Folk … the list goes on. Their latest album, “Solutide” is a tour-de-force of emotion and is certain to leave you exhausted, as well as uplifted. It tackles the subject of mental health, with a view to helping remove the stigma from conditions such as Alzheimers and Depression. These topics are addressed with a sensitivity and maturity, and always with a sense of hope. IO Earth’s albums produce dense, layered soundscapes, and you’d be forgiven to think that they cannot be reproduced live. But you’d be wrong! IO Earth’s live shows are breathtaking. The music is effortlessly reproduced by a seven piece band of multi-instrumentalists. 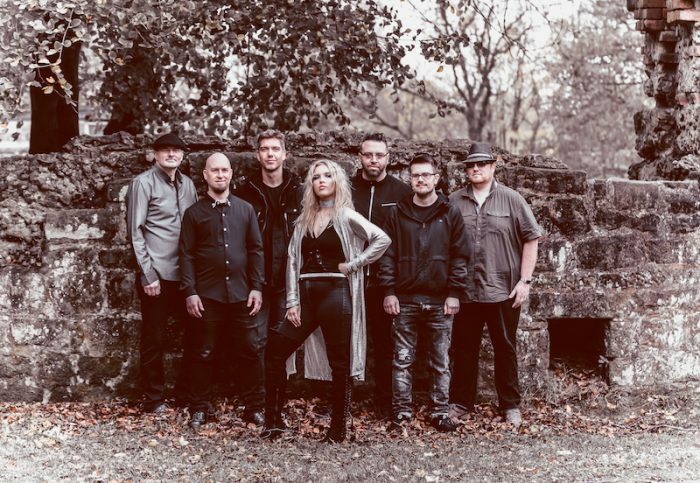 Joining Dave Cureton (Guitar, Vocal) and Adam Gough (Keyboards, Guitar, Vocal) on stage are bass player Christian Nokes, drummer CJ Jerromes, Luke Shingler on Saxophone, Flute and EWI, Jez King on Violin and Guitar, and vocalist Rosanna Lefevre. IO Earth are becoming veterans of the Progressive Music industry, having racked up nominations and awards in a variety of categories over their 10 year career. These have included “Best Debut”, “Best Production”, “People’s Choice”, “Best Guitarist” and “Best Vocalist” from a number of publications, including Prog Magazine and Classic Rock Society. They are the ONLY band apart from hosts Yes, to have appeared on every one of the prestigious Cruise To The Edge festivals since it’s inception. Ten years on, they are still the one band that you simply CANNOT miss.